YAJI MOUNTAIN, China—On Yaji Mountain in southern China, they are checking in the sows a thousand head per floor in high-rise “hog hotels”. 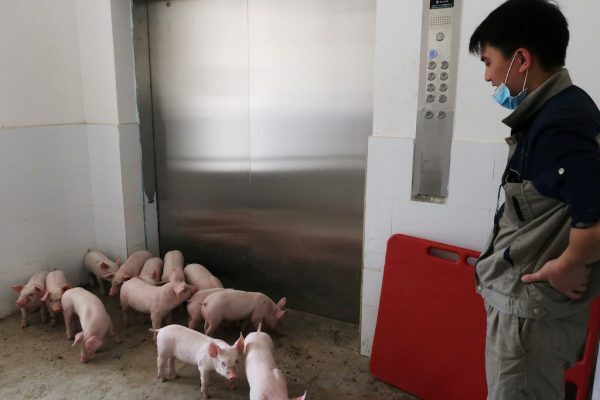 Privately owned agricultural company Guangxi Yangxiang Co. Ltd. is running two seven-floor sow breeding operations and is putting up four more, including one with as many as 13 floors that will be the world’s tallest building of its kind. 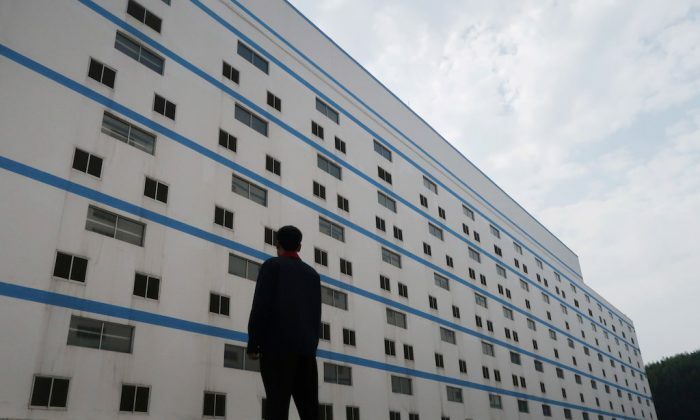 Now, as China pushes ahead with the industrialization of the world’s largest hog herd, part of a 30-year effort to modernize its farm sector and create wealth in rural areas, companies are experimenting with high-rise housing for pigs despite the costs. The “hotels” show how far some breeders are willing to go as China overhauls its farming model. Companies like Yangxiang are pumping more money into the buildings—about 30 percent more than on single-story modern farms—even as hog prices in China hold at an eight-year low. Yaji Mountain seems an unlikely location for a huge breeding farm. Up a narrow road, away from villages, massive concrete pig buildings overlook a valley of dense forest that Yangxiang plans to develop as a tourist attraction. 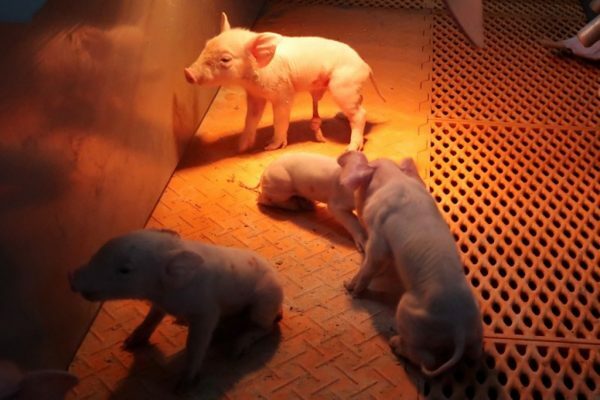 In Fujian Province, Shenzhen Jinxinnong Technology Co. Ltd. also plans to invest 150 million yuan ($24 million) in two five-story sow farms in Nanping. Two other companies are building high-rise hog farms in Fujian as well, according to an equipment firm involved in the projects. Yangxiang spent 16,000 yuan per sow on its new farm, about 500 million yuan total, not including the cost of the pigs. Building upwards means higher costs and greater complexity, such as for piping feed into buildings, said Xue Shiwei, vice chief operations officer at Pipestone Livestock Technology Consultancy, a Chinese unit of a U.S. farm management company. Health concerns also raise costs, because the risk of rampant disease—an ever-present problem in China’s livestock sector—is higher with more animals under one roof. The ventilation system is designed to prevent air from circulating between floors or to other buildings. Air enters through ground channels and passes through ventilation ducts on each level. The ducts are connected to a central exhaust on the roof, with powerful extraction fans pulling the air through filters and pushing it out of 50-feet high chimneys. A waste treatment plant is still under construction on Yaji Mountain to handle the site’s manure. After treatment, the liquid will be sprayed on the surrounding forest, and solids sold to nearby farms as organic fertilizer. The project’s additional equipment—much of it imported—to reduce disease, environmental impact and labor costs, significantly increased Yangxiang’s spending, the company said. But after testing other models, Yangxiang concluded the multi-story building was best. Others are less convinced. “We need time to see if this model is do-able,” said Xue of the farm management firm, adding that he would not encourage clients to opt for “hog hotels”. “There will be many new, competing ideas [about how to raise pigs in China],” Xue said, including high-rise farms.